Can you taste the difference? Set us against each other. National pride wrapped in bundles of sticks. Together we are strong, individuals can be broken. In basements, under spotlights, in gas chambers. The Roman salute, Hail Caesar! He was also a thief. The world blazed in agony. Sitting here, discussing politics and struggle. Throw their chieftain a juicy bone. Corruption still gnaws at our society. Can overcome racism and division. Part of a fragile, blue bauble in space. Fleeing fear and persecution – they should not be blamed. The same as you and me, made of flesh and blood. La même chose que vous et moi, de chair et de sang. Some people sadly taken in by lies of right-wing hacks. Malheureusement certains croisent les mensonges de la droite. the balance back – fight for the oppressed and the poor. It was not poor people who got us into this mess. lutter pour les opprimés et les pauvres. Ce ne fut pas de pauvres gens qui nous ont mis dans ce pétrin. While bankers rake in billions, the media divides us. Who are no threat in reality, just want the chance to get jobs. Alors que les banquiers râtissent des milliards, les médias nous divisent. Qui sont pas une menace en réalité , ils veulent une chance de trouver un emploi. Not welcome in certain places. Bureaucracy gone mad. No independence, singled out – the message is subliminal. Seulement accepté dans certains magasins. Bureaucratie devenue folle. Pas d’indépendance, persecuté – le message est subliminal. COBRA is convened: we are under attack. But millionaires are fêted, when they come to the country. Le comité d’urgence est convoqué: nous sommes sous la menace. Mais les millionnaires sont acclamés, quand ils viennent au pays. For two weekends in a row, the people of Leicester have successfully defended the city centre from Britain First, a far-right splinter-group which crawled out of the wreckage of Nick Griffin’s BNP. They claimed to be campaigning for the EU referendum, but their literature is full of lies and hatred, targeted at Muslims in particular. The Another Angry Voice blog has posted a useful guide to their brand of hatred. Leicester is one of the most diverse cities in Britain and has a proud record of standing up against racism. Dividing people in terms of their race is a convenient smokescreen for the ruling class. If working-class people are made to view each other as the enemy, then they are not blaming the real causes of their problems. These include attacks on services and jobs which the Conservatives are carrying through nationally, but unfortunately the local Labour council are passing these on to the people of Leicester and the shortage of council housing due to a lack of investment in public housing over decades. People are at the mercy of private landlords, on zero-hour contracts, in insecure employment or are unable to get a job. It is not surprising if the ruling class try to divert their anger on to scapegoats, such as “terrorists” or “immigrants”, rather than admit that the situation we find ourselves in is because of the system of capitalism. This results in an increase in racial attacks and discrimination against minorities. The Socialist Party in Leicester have a long tradition of holding street stalls in the city centre, every Saturday. When confronted with the bullying tactics of the far-right, we refused to go away. Instead, we called on the public to oppose and surround their stall. We reminded people of the nature of Britain First, and why they do not stand for modern Britain. We pointed out that we need to unite as a community in order to defeat the Tories’ attacks and it is still vitally important to oppose the far-right, just as the people of Leicester saw off the National Front in 1979 and opposed the EDL when they marched through the city in 2012. If they are left unopposed, racist thugs can get away with attacks on Muslims. Britain First has invaded mosques, and its leader Paul Golding has been convicted of harassment. He was arrested again this weekend, after breaking bail conditions by failing to show up to a scheduled appointment in a probation office in Luton, as he was 50 miles north of that city, in Leicester. The far-right have form in this city. In 2010, the EDL broke out of police lines and attacked Big Johns, a local fast-food restaurant, because it was selling Halal produce. In 2013, I wrote about a Leicester pub, “The Globe”, which was attacked on a neo-Nazi website for allegedly refusing to serve members of the armed forces, in case this offended Muslims. As a result, staff of the pub received threats, although the report was clearly completely fake. Britain First share the racist views of the EDL and BNP and have no place in a modern, democratic society. The principle of freedom of speech extends only to those who will allow freedom of speech to others. In destroying a stall table and megaphone of socialist groups, Britain First showed themselves to be no respecters of the right of free speech. They brought a loud sound system, blaring out patriotic music, in an attempt to drown out the public’s opposition. Fortunately, they were again sent packing, behind police lines and carrying armfuls of their racist publicity, which they were unable to give out due to being surrounded and outnumbered. The public of Leicester will need to be watchful and ready to mobilise to counter their threat. The Socialist Party stands for unity of the working class and against any attempts to divide us. We stand against racism, bigotry and intolerance. We are a democratic party and are happy to debate with our political opponents, but we will organise against far-right bullies, who resort to abuse, threats and violence. The Socialist Party campaigns for a LEAVE vote in the forthcoming EU referendum, but not on the basis of racism and xenophobia. We are for a united, socialist Europe, not the bosses’ undemocratic EU, whose treaties have imposed privatisation and austerity across the continent. On May 22nd, we will be offered a choice of who to elect for the European Parliament and in many places there are also local elections. No to austerity. Oppose all cuts. Will defend and restore trade union rights. Renationalise the NHS, Post Office, and energy companies. For a fully-integrated, publicly-owned transport network. Exit left from the European Union. The EU cannot be reformed in the interests of workers. No to the TTIP (Transatlantic Trade and Investment Partnership). For a federal, socialist Europe. No to racism and fascism. For socialist policies to solve environmental catastrophe. For an international struggle of all working people against capitalism. Greens (mixture of soft-left, centre, soft-right). Green Left is an ecosocialist group within the Green Party. For the environment and renewable energy. For an increased income for poor workers. In power (Brighton Council), the Greens have still carried out cuts to services. In power, the Greens have gone into coalition with mainstream parties, betraying their own principles (Ireland, Germany). Greens tend to favour small business over large business, but have no strategy for getting rid of capitalism altogether. The Green Party encapsulates a wide variety of political positions, from both left and right viewpoints. They have tried to portray themselves as neither left nor right wing, but purely environmentalists. All three main parties are in favour of cuts and privatisation. Labour has done nothing to reverse Tory policies, Thatcher’s anti-trade union laws, or the privatisation of the railways under John Major, for example. All three parties have already destroyed much of our NHS. They are all in favour of academy schools or free schools and want to end comprehensive education. They all back tuition fees for students (despite promises to scrap fees made by both Labour and Lib Dems in the past). Labour, Lib Dems and Tories are all right-wing parties. They are all officially pro-EU (to a greater or lesser extent) – however Tories and Labour are split on this issue. None of them, in my opinion, are worth voting for. In local elections, a vote for TUSC (Trade Unionist and Socialist Coalition) is an effective protest vote. UKIP are not a protest vote. They are part of the political establishment, being a right-wing split from the Tories. UKIP do not represent the interests of ordinary people. They are dangerous in seeking to blame immigrants for the nation’s woes, when in fact the real enemy is the banking sector, capitalist greed and financiers who were responsible for the banking crash of 2008. None of this was caused by poor immigrant workers, who actually contribute to our economy. If you oppose Brussels and want to cast a protest vote, support No2EU Yes To Workers’ Rights. On Thursday 8th May, the public gallery was full as the scrutiny committee of Leicester Council met to discuss cuts to voluntary services in the city. Leicester Race Equality Centre (TREC) and Leicester Council of Faiths were both allowed to submit a response (although they were limited to just 5 minutes each to put their case). TREC argued that it provided a unique service, responsive to the needs of diverse communities in the city, often working with extremely deprived and vulnerable people, and had worked to improve relations between communities in the face of far-right attempts to increase racial tension, as has happened in Thurnby Lodge and with the EDL protests. In both these cases, TREC have been involved in combating racist ideas and developing dialogue between different ethnic groups. The council’s response to TREC’s demands for an Equality Impact Assessment amounted to just 144 words, which was completely inadequate, and contrary to the council’s legal responsibility under the 2010 Equality Act. The council’s consultation exercise was itself discriminatory, by being on-line, it excluding people without access to the internet, whether due to poverty or to disability. Only 136 people responded, and only 78 attended public meetings, with overlap between the two groups. This failed to do justice to the vast number of people across Leicester City affected by the service cuts. Peter Soulsby, the Mayor of Leicester, acknowledged the good work done by voluntary services in the city. However, he sought to blame the Tories for the cuts, rather than taking any responsibility himself for their implementation. He said that services had to go out to tender, as this was “the way of the world”, and that the council had no choice except to cut the overall funding pot. He failed completely to address the points relating to the failings of the council’s own report. Rather patronisingly, the groups were reminded that they could also apply for external funding and were offered assistance with this. The response from both the Council of Faiths and TREC was that they already routinely approach external sources of funding, and that TREC had exceeded the council’s own agreement as to the services it provides, with a 98% satisfaction rate from users of the service. In the past year, TREC had dealt with 794 enquiries, and faced a 70% increase in cases of harrassment. Since 1967, an estimated 150,000 people had benefited from their support. Mayor Soulsby went on to admit that a total of 18 other services were having to go through similar reviews, such as children and adult services. It is obvious therefore, that the cuts being made by the council are widespread and affect the most vulnerable people in our society disproportionately – in the case of TREC, asylum seekers, refugees and people experiencing discrimination or harrassment. TREC works with all communities in the city. However, Soulsby offers no strategy to stop cuts to services. We were left wondering – what was the point of voting in a Labour Mayor, or 52 Labour councillors, if they then fail to provide any meaningful opposition? 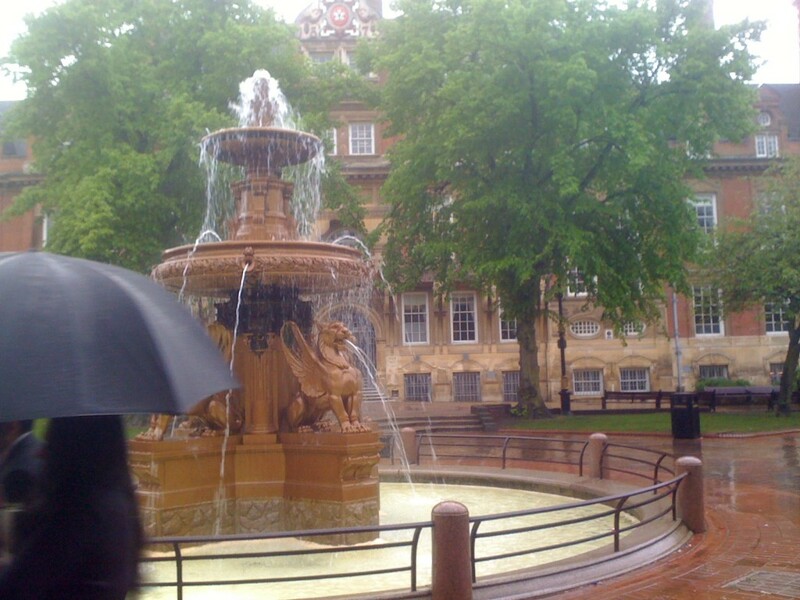 In the 2015 elections in Leicester, the Socialist Party as part of TUSC (Trade Unionist and Socialist Coalition), will provide such a principled opposition. If any Labour councillors are prepared to break ranks and vote against cuts, then we will support them in their stand. However, we are seeking to put forward as many candidates as possible against councillors who cut services. We will also look to stand against Soulsby in the mayoral elections, in order to save jobs and vital services in the city. The Socialist Party would scrap the tendering process, it merely adds bureaucracy and opens up public services to the private sector. Instead of wasting resources in drawing up tender documents and having to justify themselves to the council, services should simply be able to get on with the job they are supposed to do. We point out that the council has a choice – it could refuse to implement cuts and use its £150 million reserves to buy time to build a campaign to force the government to back down on its austerity agenda. If Leicester united with other Labour councils across the country, and built support amongst council trade unions for united strike action, the government would face massive opposition and could be forced into a position where it had to back down. However, if Labour councillors are not prepared to fight, and the overwhelming evidence is that the vast majority of them will do nothing – then they should stand aside for others who will. The Socialist Party has a long track record of fighting successful battles against cuts – for example Liverpool Council’s fight against Thatcher from 1983 to 1987 and the mass non-payment of the Poll Tax in 1990. We will continue to fight against all cuts to services, whichever party is implementing them. Farage sends a barrage of abuse – ‘cos “foreigners cause crime”. A putrid purple shower of racism and cant. And the cheek to claim that he’s anti-establishment. Sometimes I wish he’d met his end in that plane accident. To make him less xenophobic, bigoted and deranged. We need to counter UKIP’s propaganda and deceit. Our libraries and schools, turned into academies. Tired teens trundle through education factories. Vote racist, angry, malevolent – do the bidding of the boss. To unite us, across disparate cultures. Otherwise, it is our loss. Something to cheer about, not racists and their bigotry. You can read some more of my poetry in ‘Little Red Poetry’ (£4 pbk, £2.50 pdf e-book). All proceeds go to build a new party for ordinary people, against cuts and privatisation. Stop the witch-hunt in Unison.